Mahr! with excellence 150 years of manufacturing precision instruments is expending it's business footprints all over India with Precision Gauges division viz. 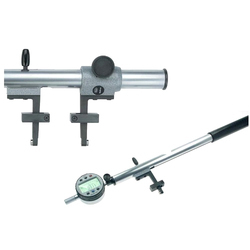 2D/1D Height gauges, Portable Surface Roughness Testers, Calipers, Micrometers, Dials, Electronic (LVDT) Probes, Electronic Column/DRO, ID/OD Gauges, DIP/DOP Gauge, etc. 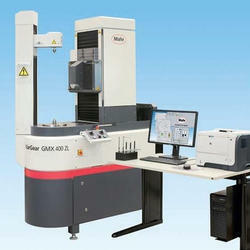 as well along with our System Metrology division viz. 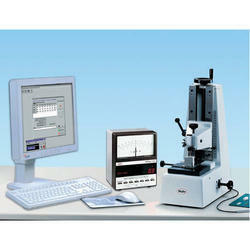 Form/Roundness Tester, Gear Tester, Shaft Measuring m/c, Universal Length Measuring m/c [ULM] etc. We are offering Slip Gauge Calibrator Precimar 826 PC Gage Block Measuring U to our client. We are offering Universal Length Measuring Machine ULM MAHR to our client. 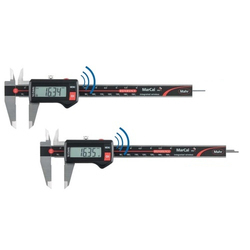 We are offering Digital Vernier Calipers Marcal to our client. Dirt wipers are integrated into the slide. Life of the battery up to 3 years. We are offering Millimess Dial Comparator to our Client. 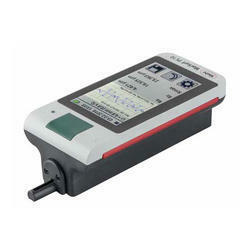 We are offering Portable Surface Roughness Tester MAHR MarSurf PS-10 to our client. Data can be saved in the device in TXT, X3P, CSV and PDF. Simply Plug into PC and get the same results [just like a storage device] in above format without software requirement. 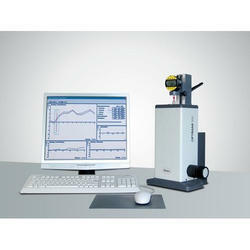 Parameters Tolerance can be input within the device can reflect in the results. Get the report with Your Organization Name tag, Address, Comment, Job name etc. We are offering 2D Height Gauge MAHR Digimar 817 CLM to our client. It has unique “Quick Mode” function for faster inspection. Learn programming, easy measurements of batch parts. Designed for Shop floor Laboratory conditions. Dual Reader head, for less serviceability maintenance. We are offering Vision Measuring Microscopes MarVision to our client. 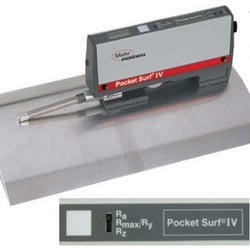 We are offering MAHR Pocket Surf IV Surface Roughness Tester to our client. We are offering Shaft Measuring Machine MarShaft MAN to our client. The modular design of the MarShaft MAN shaft measuring machine allows rotational symmetrical parts to be measured quickly and flexibly. Measurement of round parts such. Gear shafts, camshafts, crankshafts, drive shafts, toothed racks, hollow shafts, etc. 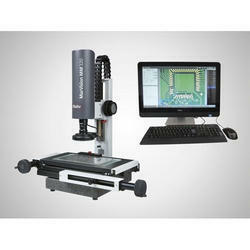 An optical measuring instrument for turned parts with matrix Flexible optical measuring system for round parts. Maximum precision directly on the shop floor. Reliable measuring results without operator influence. Easy operation thanks to touchscreen monitor Record generator. Precision turned parts, camshafts, drive shafts, gear shafts, toothed racks, hollow shafts, etc. 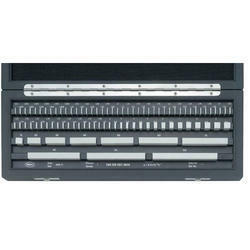 Tactile measuring unit for radial and axial run-outs (optional). 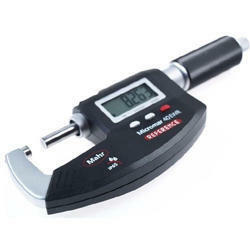 We are offering Digital Micrometer Micro mar to our client. • RESET (Zero setting the display for Relative measurement)ABS (Switch between Relative and Absolute measurement)mm/inch Reference-Lock/Unlock PRESET (Reference setting). • Immediate measurement due to the Reference system. • High contrast Liquid Crystal Display with 8.5 mm high digits. • Hard lacquered steel frame, heat insulated Spindle and anvil are carbide tipped. • The spindle is made of stainless steel, hardened through out and ground Ratchet is integrated into the thimble Rapid drive Supplied with: Case, battery, operating instructions. We are offering Id Gauge 3 Point Bore Measuring Pistol Micro mar 844 A to our client. We are offering Lever Dial Gauge MAHR MarTest to our client. 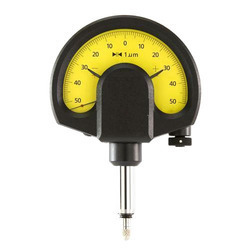 A precision, benchtop instrument, providing a wide variety of precision measuring instruments including dial and digital indicators, dial and digital comparators, dial and digital test indicators, electronic probes and gage heads, Air Probes® and jet probes, or any other devices that magnify the linear displacement of a contact point or measuring spindle. MarCheck, large clearly readable LCD monochrome digital display(240x160 pixels) with background illumination with 13 mm / 0.512” high digits. USB interface maxed at 3GB USB thumb drive USB interface for PC- Selectable RS232 interface- Includes certification of calibration For dial indicators, dial comparators, lever-type test indicators,2-point inside measuring devices, digital dial indicators and inductive and incremental probes. 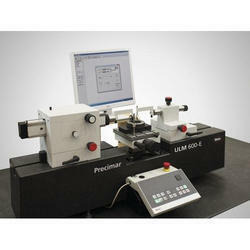 Automation of subprocesses (automated pre-positioning) using motorized measuring spindle drive. 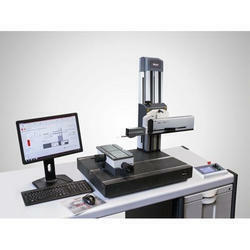 Fully automated measuring run for digital devices. OPTIMAR 100 may be used horizontally (e.g. for measuring aside micrometers). Testpiece mounting via vertical guide. Height can be adjusted quickly ( the adaptation of test pieces to different measuring ranges). Box-shaped and thus rigid machine casing. For testpieces with a shaft diameter of 8 mm, 28 mm or 3/8". Electronic handwheel for manual control of the measuring spindles movement. The self-adjusting sensitivity of the electronic handwheel for adaptation to the specific test specimen Ergonomic design of all control elements. 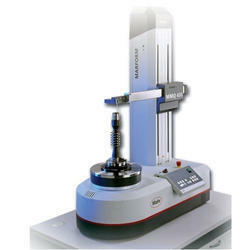 We are offering Digital Comparator MAHR Maxum III D to our client. Features both digital display for accuracy and readability and unique fan analog display for trend and change. 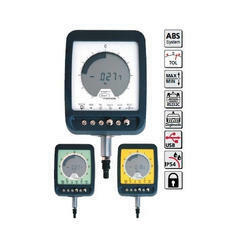 User configurable in inch /metric units, normal/reverse sensing, resolution, analog scale, and tolerance setup display. Min, missedcountsMax, TIR, Hold, Reset Absolute Transducers no over speed error missed counts. no missed readings Auto power down provides extremely low battery consumption, assuring long life from readily available commercial batteries. Data output 3 formats Maxum, serial, or dogmatic Both integral and remote readout versions available Easily used on Snap Gages,Bore Gages, Comparator Stands, and Fixture Gages Special options available setup mode or calibration lockout, remote external power, 4:5 ratio, 12 o‘clock mounted integral transducer, integral vertical or horizontal lug back, 1.5, 2.0or 3.0 inch stem length, and more. For the rapid testing of diameter, roundness and conicity of bores Especially suitable for testing batches with tight tolerances No rocking in the bore is required to determine the reversal point Therefore ideal for use in conjunction with a digital indicating instrument and for subsequent processing of measured values Measuring head has a hardened chromium plated guide cylinder and carbide tipped anvils. The carbide expanding the pin transfers radial movement to indicating instrument. Constant measuring force as a result of built-in spring, thus eliminating user influence. Measuring head, holder, depth extension, right angle attachments and depth stops are part of an extensive modular system. We are offering Slip Gauges MAHR Rectangular Gage Block Sets to our client. Can be used individually or in combinations by wringing several blocks together (see illustration)Mahr Gage blocks are made either of stainless steel or of the ceramic compound zirconium oxide ZrO2 (Circonimar).Calibration class KAs primary factory standard, particularly for the calibration of subsidiary test laboratories, e.g. for gage blocks of lower tolerance classes. Supplied on request with DKD calibration certificate, standards indicating the deviation from the nominal size for each gage block.Calibration class 0 For maximum accuracy requirements. To be use standards in test laboratories and precision inspection rooms, where other gage blocks and high accuracy measuring instruments are calibrated. Tolerance class 1 For high standards of accuracy. As reference gage block for the inspection room. 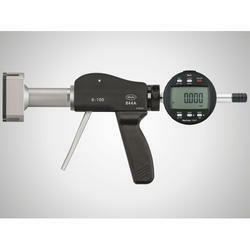 Designed to perform particularly accurate measurements. 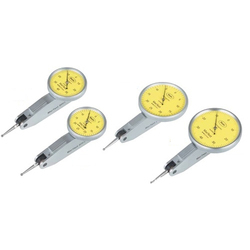 For setting indicating measuring instruments and for checking precision gauges.Tolerance class 2For checking production gages of quality IT 6 and IT 7. For setting indicating measuring instruments and for checking accurate dimensions in the jig and tool industry. 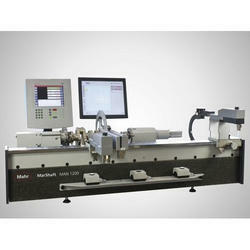 We are offering Contour Measuring Machine MarSurf XCR 20 to our client. Saves space because both drive units (MarSurf PCV 200 contour drive unit and GD 25 roughness drive unit) can be adapted using the corresponding combi-mount on the ST 500 or ST 750measuring stand. Roughness and contour evaluations possible from a single measurement, High-precision contour and roughness evaluation with the MarSurf UD 120 measuring system on components requiring a large stroke and very high resolution Option of rapidly switching between roughness and contour measurements thanks to straightforward changeover within the software platform and changing of mechanical components such as drive unit and probe. Use in production environments or precision inspection rooms The MarForm MMQ 400-2 is available in five versions which are designed to meet your requirements and solve any of your measuring tasks. The vertical axis (Z) with measuring the length of either 500 mm (19.67 in)or 900 mm (35.4 in) and horizontal axis (X) with measuring the length of 280 mm (11.02 in) or. With digital position decoders in the linear axes X and Z for best reproducibility of measurements. The T7W probe is fitted with a motor-driven rotational axis. This makes it possible to move the probe arm in steps of less than one degree to the required contacting position. Measurements can be performed on the generating surfaces and end faces. As a zero position probe, the T7W can also switch automatically between internal and external measurements or between end face measurements from above and below without operator intervention. Fully automatic measurement processes on complex workpieces can are carried out without operator intervention too.The probe arms of the T7W are exchangeable. 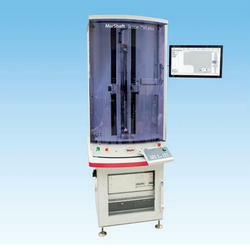 Its motor-driven rotational axis enables the construction of "multi-point probe arm units" i.e. probe arm units with a variety of contact elements making it possible to switch between different stylus ball geometries within a single measurement run. We are offering Gear Tester MarGear to our client. Measurement and analysis of flank topography based on nominal data or a master gear plus gear pitch and run-out errors. Topography point matrix definition with up to 20 x 20 points. Calculation of the average flank form Calculation of tooth thickness in normal and transverse section. Measurement and analysis of tooth depth, face angle and root angle Calculation of pressure and spiral angles Deviation from flank form measurement Calculation of pitch errors according to DIN 3965Measurement of shaving cutters Measurement and analysis of shaving cutters. We are offering Universal ID Dimensional Gauge to our Client. 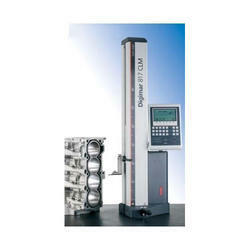 The Universal Gage Multi mare 844 T. Easy to use and versatile, ideal for all your measuring requirements in dimensional metrology.